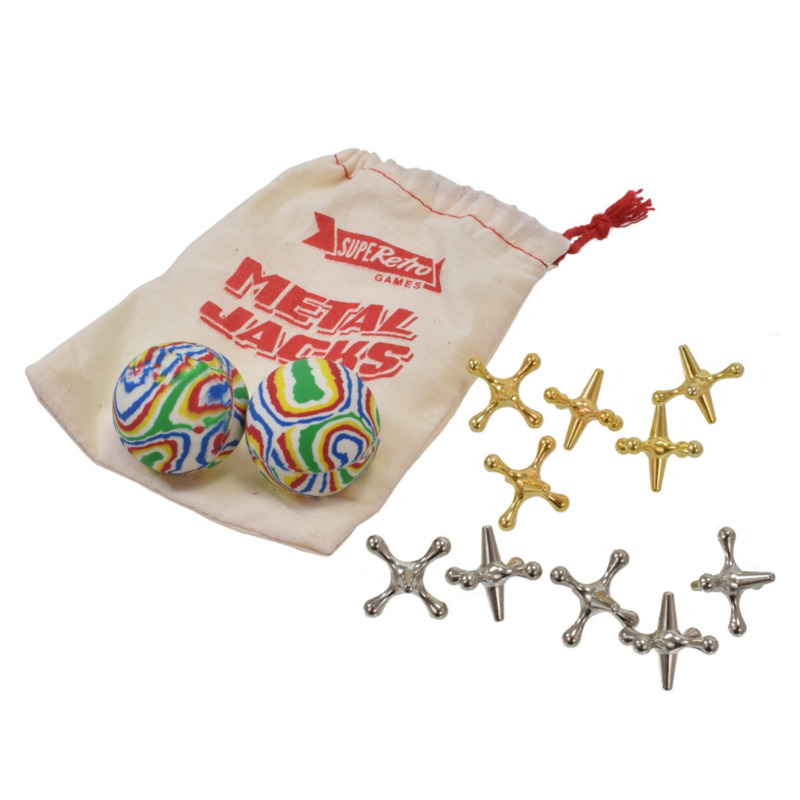 Gather your jacks and a ball for a retro game of Metal Jacks. Comes with 10x Metal Jacks and 2x Bouncy Balls. Play indoors on a hard floor or outdoors on concrete.